The Left Center Right Dice Game (LCR) is a dice game that is played by as many players as the game organizer chooses. Players compete to win all the chips in play during the game, passing chips based on the roll of the dice. LCR Dice Game is based entirely on the luck of the dice, with no strategy involved. There are three dice rolled on each turn of the LCR Dice Game. Each die has the letters "L," "C" and "R" on it along with dots. For each "L" a player rolls, he must pass one of his chips to the player sitting to his left. For each "R" a player rolls, he must pass one of his chips to the player sitting to his right. For each "C" he rolls, he must place a chip into the pot in the center of the table. Dots require no action to be taken for that die. Players start with at least three chips each, and may play with as many chips as the players agree upon. If a player only has one chip left, he only rolls one die on his turn, and if he has two chips left, he only rolls two dice. Once a player is out of chips according to the standard rules, he still rolls the dice on his turn. The winner, based on the standard rules, is the one player who has all the chips at any time during the game. 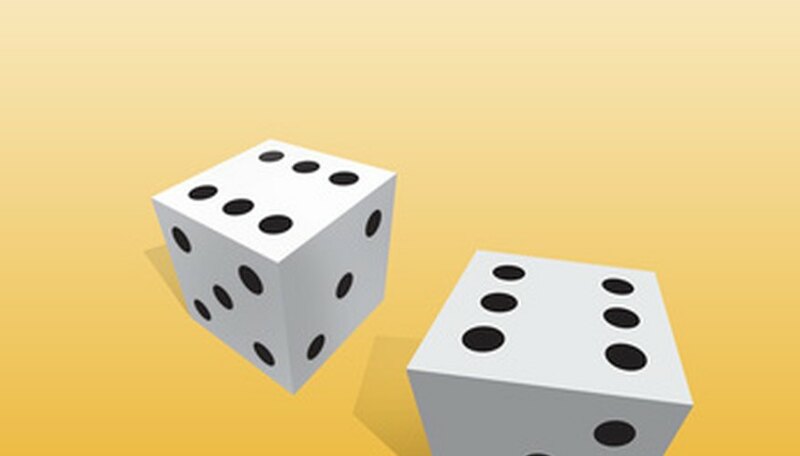 To win the chips that are in the center pot, a player must roll three matching letters or three dots, one on each die. If he does this, he does not have to follow the rules for each individual die, but instead collects the chips from the center pot. Players may alter the official rules to play a gambling version. This can be played with coins, such as quarters or dollars, instead of chips. Each player should start with the same number of coins. In this game, when a player is out of coins, he is eliminated unless he places more coins on the table to use during the game. He can only add an amount equal to the number each player was permitted to start the game. The game ends after an agreed upon time limit. Any chips remaining in the center pot at that time go to the player with the most chips.